but what of it has effectively addressed the event's social injustices? 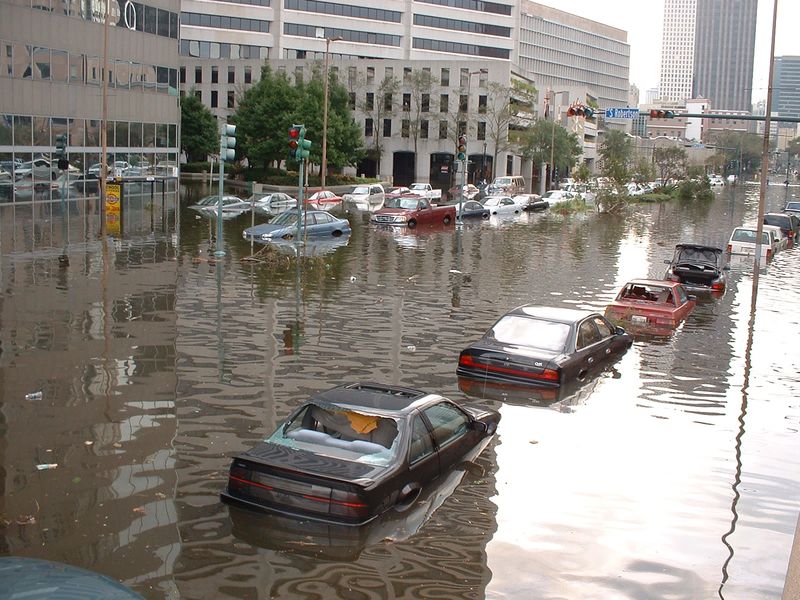 As we are upon the 10th anniversary of Hurricane Katrina a new flood, this time of commentary, is inundating our airwaves and internet. Most of it is shallow, celebratory reflections that regurgitate the “silver lining” framing of Katrina that David Brooks and other elite opinion makers began to construct in the days and weeks after the levees broke (two recent examples are by Malcolm Gladwell and Walter Isaacson). The only difference is that now, a decade later, they are declaring, rather than predicting, victory. The “horrible opportunity” that Katrina provided to carry out things “that were unthinkable in the past”—as former New Orleans city planning director and current Columbia University professor Kristina Ford phrased it—have been achieved from the perspective of pundits in the corporate press. The public sector—schools, housing, hospitals, and to a lesser degree, transportation—that served the city’s low-wage working class, and the collective bargaining agreements that provided some labor protections and rights, have been swept away. In its place a new wave of professionals, investors, and “entrepreneurial spirt” has arrived and taken root, making “New Orleans as the Model for the 21st century,” as the Rockefeller Foundation and Tulane University titled a 2010 conference they jointly sponsored. Some, like Chicago Tribune editorial member Kristen McQueary, even pray for a disaster that will allow the same model to be implanted in their cities—or at least more than it already has. We will hear from family members of those murdered by the New Orleans police and other “security forces” in the days after Katrina. We will remember Katrina from the perspective of the thousands of public school teachers summarily fired by the stroke of Democratic governor Kathleen Blanco’s pen as they were dealing with multiple personal crises in the aftermath of the deluge. We will also view Katrina from the perspective of public housing residents locked out of their apartments not from flood damage, but from the criminal decisions of the Republican Bush administration and its Democratic Party collaborators in New Orleans. Of course, people did not sit idly by in the face of these attacks. Therefore, another component of the people’s history conference will be to document the struggles that were mounted. Among the most prominent given attention will be the public housing insurgency, including the heroic work of former public housing resident Kawana Jasper, who was railroaded to prison because of her activism but who has recently been freed. In addition, the efforts to challenge the inequities of the privatized “Road Home” program designed, ostensibly, to assist homeowners to rebuild; the struggle to bring cops that murdered Katrina survivors to justice; and the battle to reopen Charity Hospital and to save homes in the Mid-City neighborhood from demolition will all be interrogated. The final segment of the conference will, in the tradition of Mother Jones, plot how we will not just mourn, but “fight like hell” for a new New Orleans and world. The centerpiece of this people’s reconstruction plan—one that can become a model for not only New Orleans, but the entire U.S. and beyond—is the fight for "Jobs for All, Free Public Services For All" through a mass, democratically controlled, direct-government employment public works program. Panelists will be discussing and debating how this demand can get on the political agenda. Those who plan to be in New Orleans and want to hear an alternative to the official neoliberal dogma on Katrina are encouraged to attend “A People's History of Hurricane Katrina Conference,” which will be held from 3-8 PM at the Unitarian Church at 5212 South Claiborne Ave in New Orleans. For those that will not be in town, the conference will be videotaped and posted online. For more information, contact the author at jarenanynola@gmail.com. 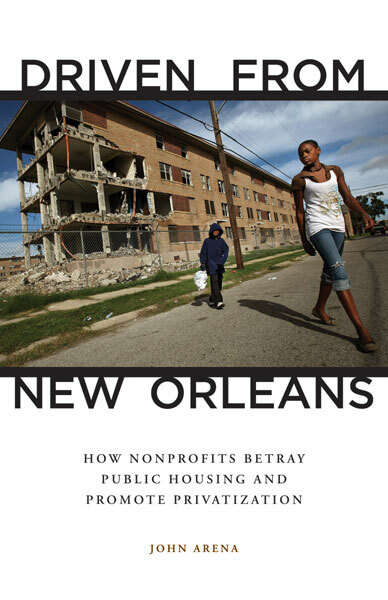 John (Jay) Arena is author of Driven from New Orleans: How Nonprofits Betray Public Housing and Promote Privatization. He is assistant professor of sociology at the City University of New York's College of Staten Island, lived and worked in New Orleans for more than twenty years, and was involved in various community and labor organizing initiatives in the city.